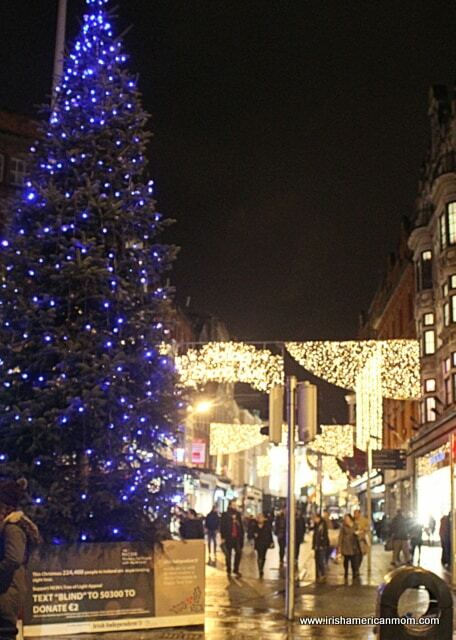 Dublin is magical at Christmas time. 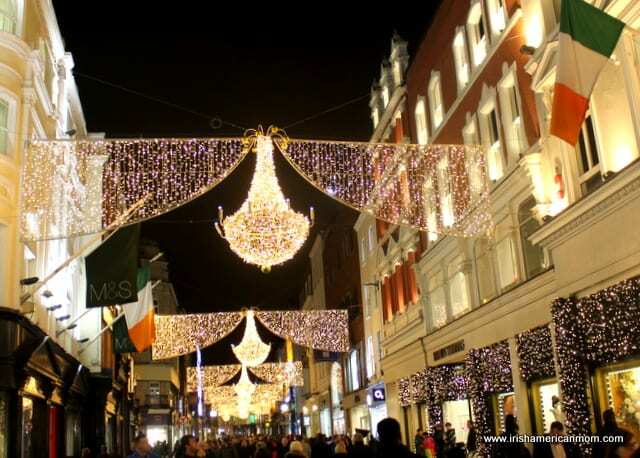 Glittering lights festoon the city’s streets bringing festive cheer to all. 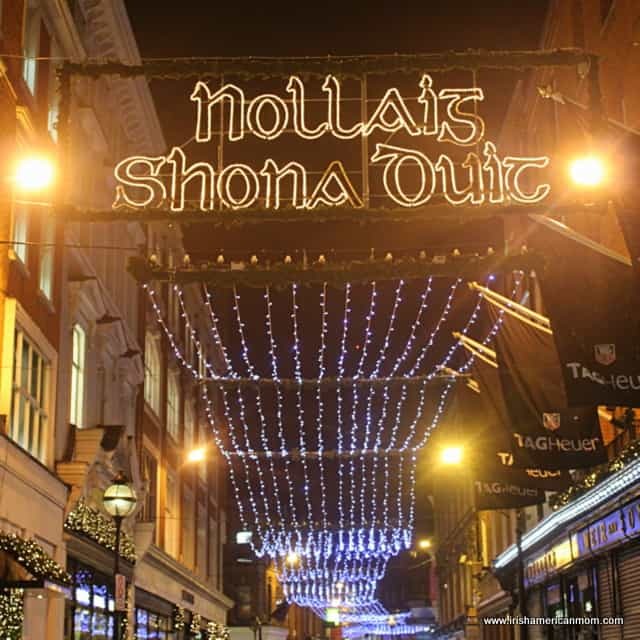 This year I’ll be in Ireland for Christmas, and what better way is there to celebrate than by sharing some photos of Dublin’s Fair City, adorned in all her Christmas glory. 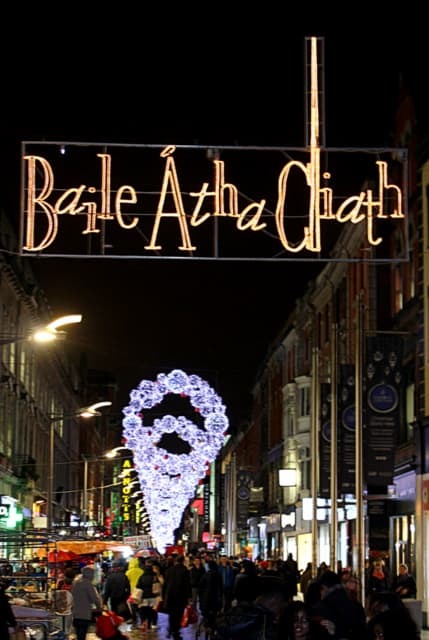 Dublin’s Christmas light show may not be as extensive as in other cities around the world, but to my Irish eyes my hometown’s Christmas lighting extravaganza is spectacular. Christmas lights illuminate the darkest month of the year. 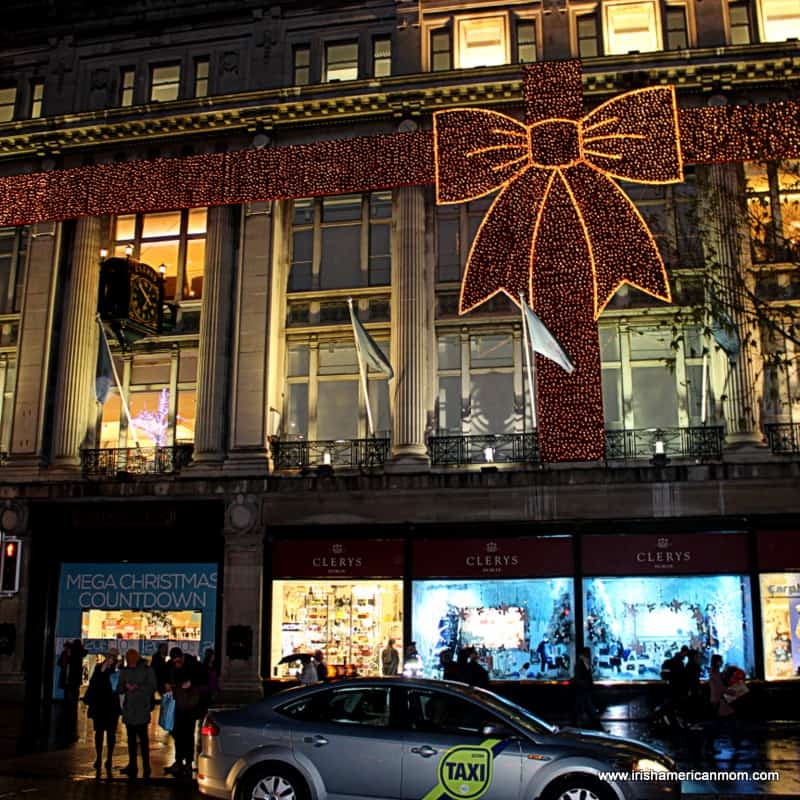 The sun sets around 4.30 pm on Irish Christmas evenings, but Dublin’s Christmas lights bring cheer to these dull and dreary days. 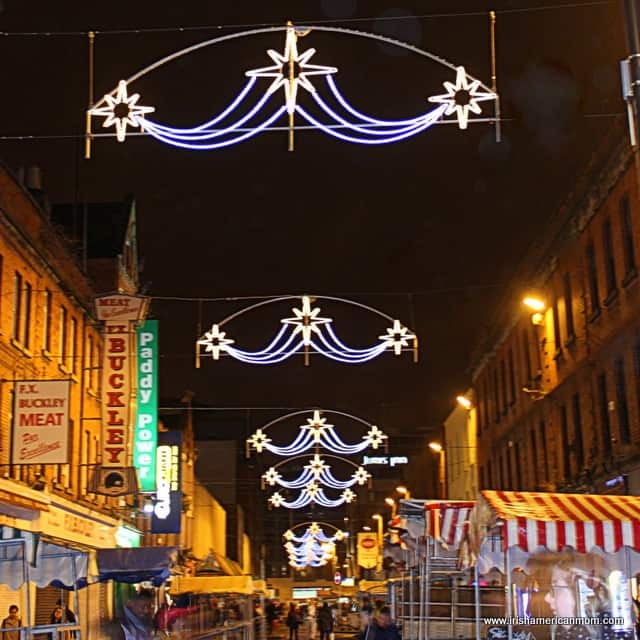 At night Moore Street vendors’ stalls lay vacant, beneath glittering, illuminated garlands. 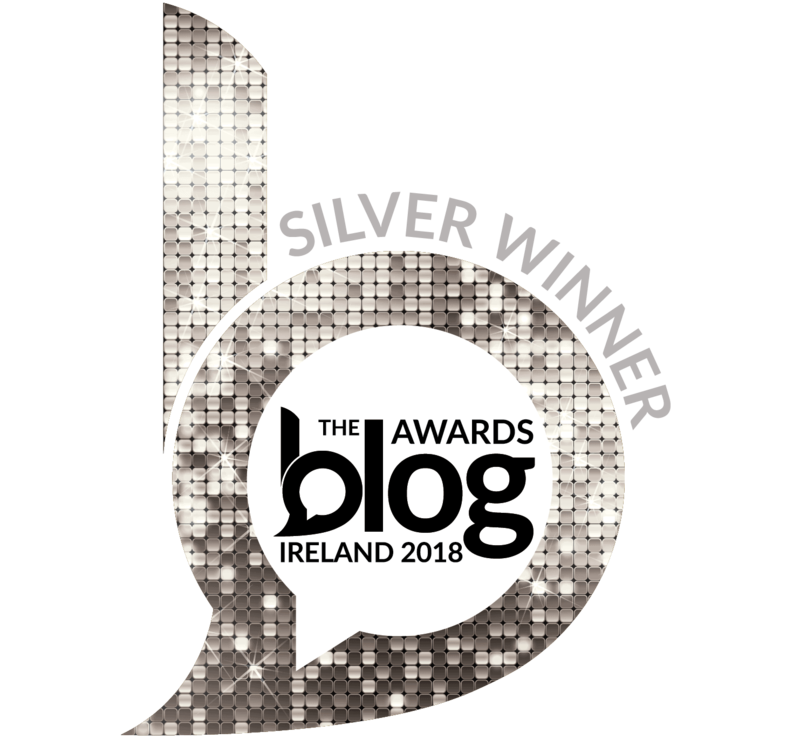 In the early morning hours they greet Dublin’s long time retail entrepreneurs in style. A Christmas crib sits in all its splendor in front of the GPO on O’Connell Street. 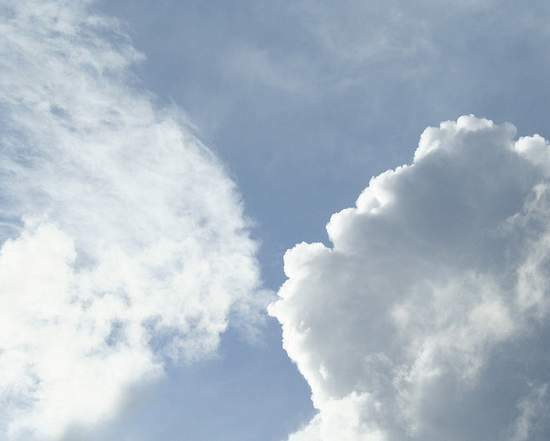 The baby Jesus will take His place of honor amongst the shepherds and Wise Kings on Christmas Eve. 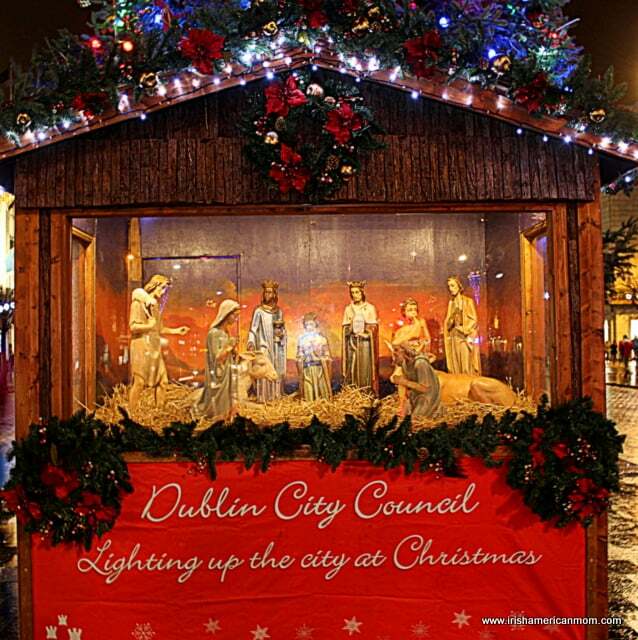 It’s wonderful how Dublin City Council still recognizes the true reason for the season, and continues to include a manger scene as part of the city’s decorations. 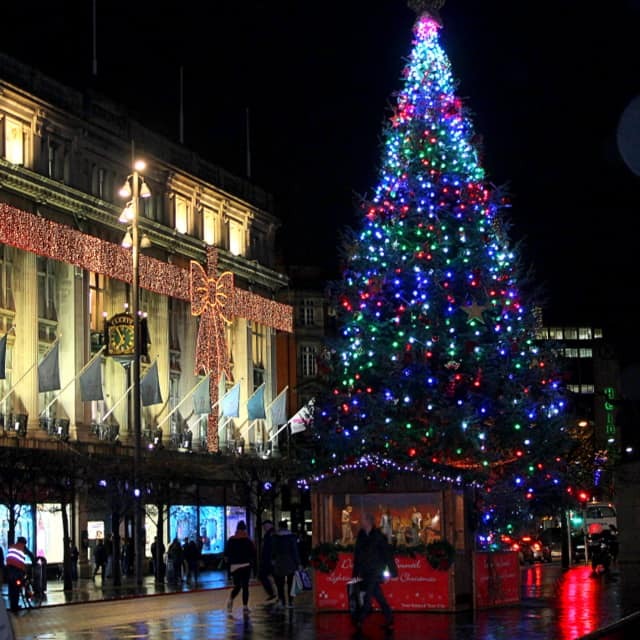 A brilliant, glowing Christmas tree sits in the middle of O’Connell Street. 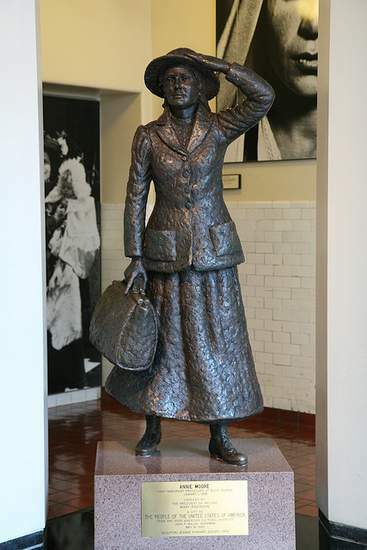 It stands in all its luminous glory between Clerys shop and the GPO, the site of the 1916 Easter Rising in Dublin. 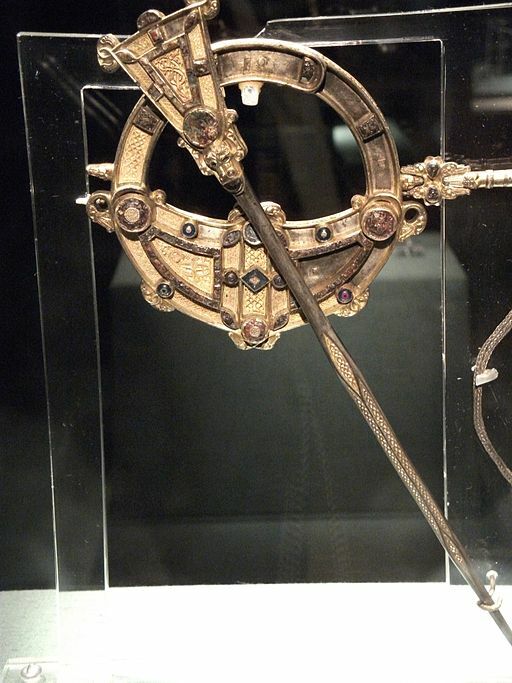 And Clery’s clock, the most famous meeting place in Dublin, looks resplendent beneath this lustrous burnished bow. 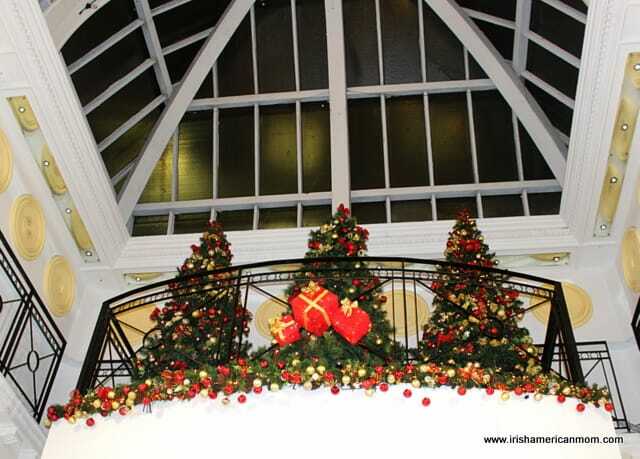 Red and gold trees perch high above pedestrians along the GPO arcade. 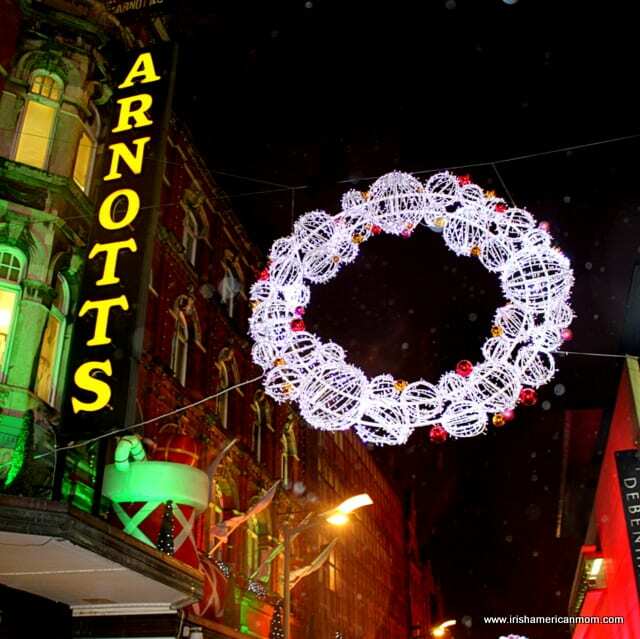 Once our north side light tour was complete we headed to the south side to see Grafton Street’s illuminations. 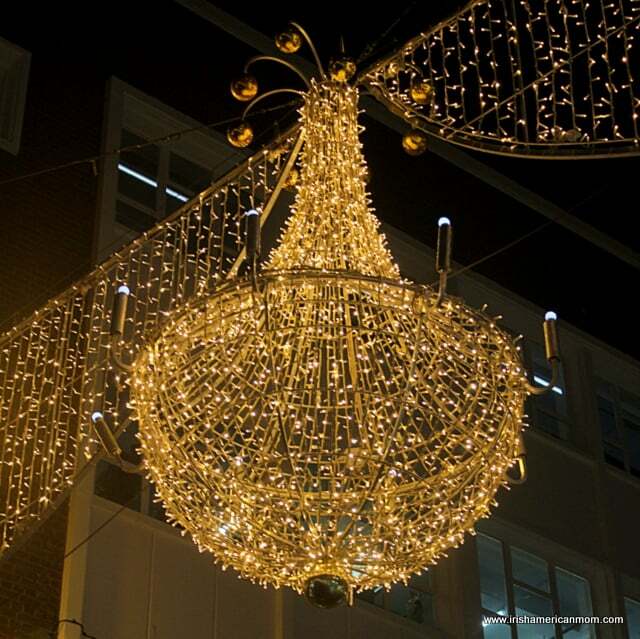 Giant flickering chandeliers shine and glow along this famous Dublin wonderland. 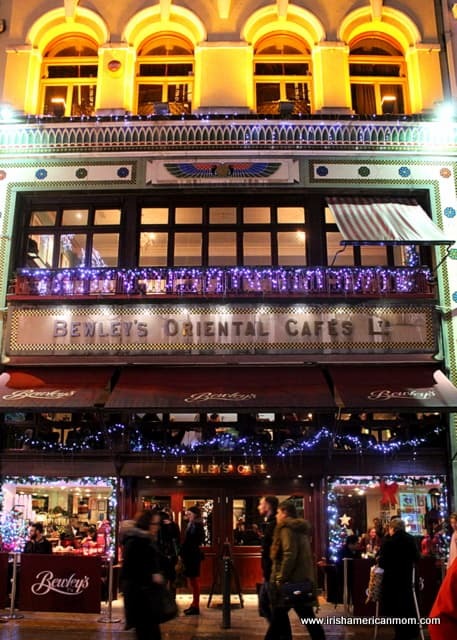 Bewley’s Oriental Cafe is tastefully decorated in gleaming blues. 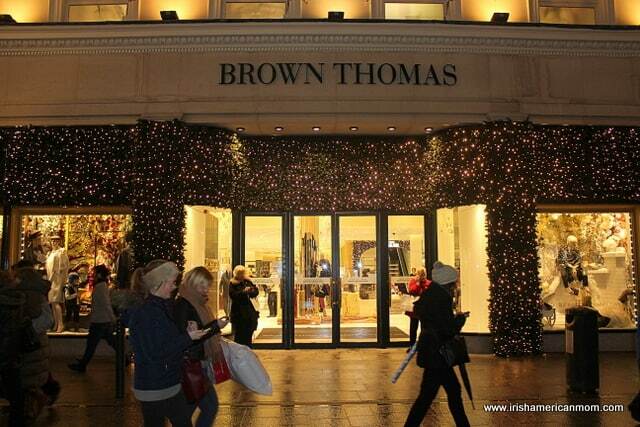 Brown Thomas is all aglow, clad in thousands of shimmering lights. 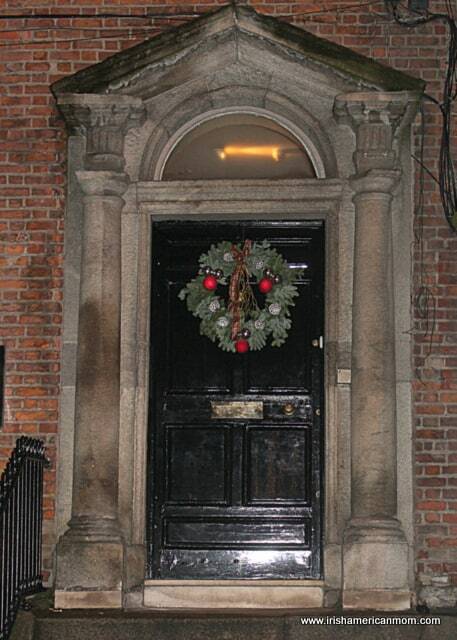 And Dublin’s famous Georgian doors require no lighting – a simple holly wreath provides a lovely, festive feel to these amazing architectural gems. 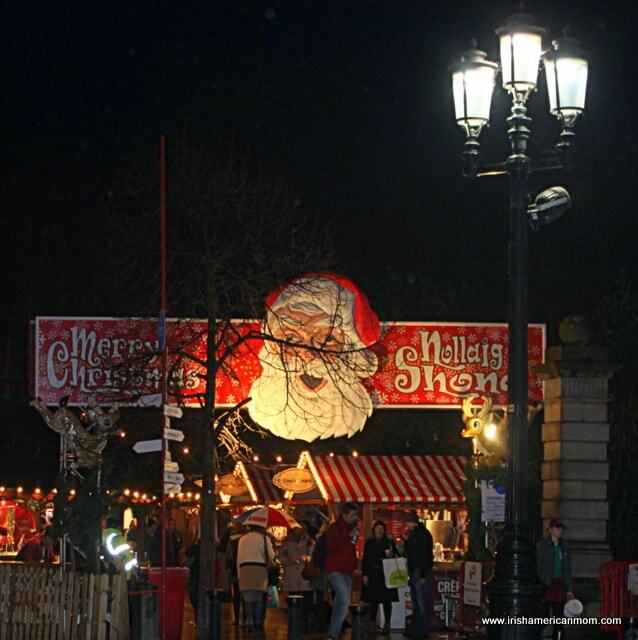 A Christmas market has opened along St. Stephen’s Green. 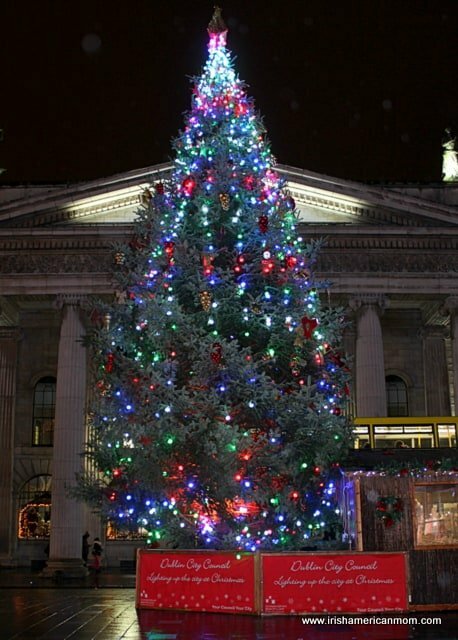 I love how this European tradition is now part and parcel of a Dublin Christmas. 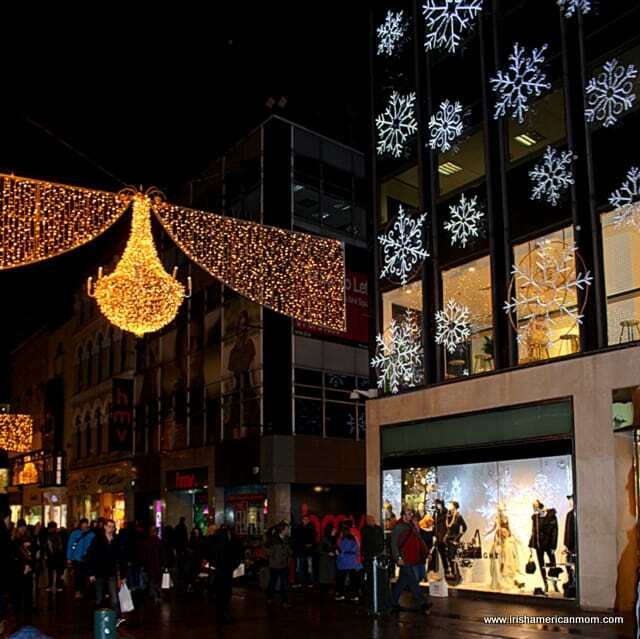 Giant snowflakes are all aglow on a Grafton Street store. 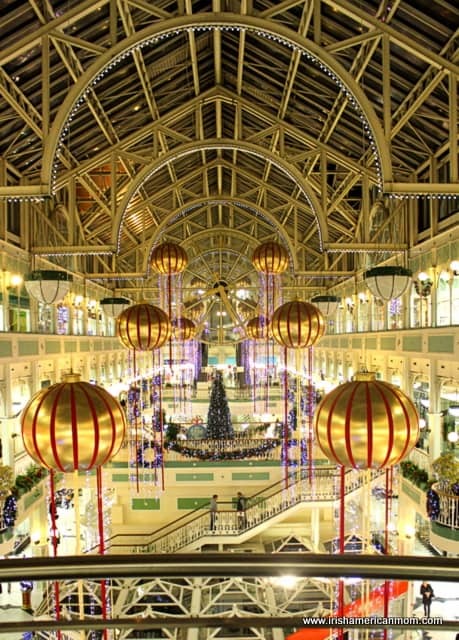 And the St. Stephen’s Green Shopping Center looks magnificent too. 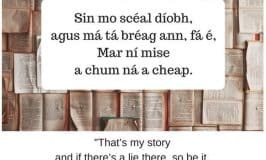 And so, I hope this little tour of Dublin’s Christmas light show will kindle happy memories of Christmas in Ireland, for those of you who find yourselves far away from home this year. 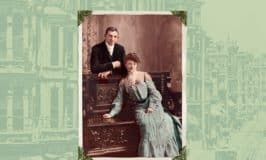 And for all my readers, I hope this post finds you celebrating the peace and joy of the Christmas season.